Contractors often tell us they are looking for convenient, affordable ways to improve technician performance, reduce callbacks, increase job margins, and reward quality employees. That's why ACCA has developed Qtech, an online training program that can help meet those needs. Qtech is made up of individual online courses built around ACCA standards. Courses vary in total hours, but all are broken up into very short 5-15 minute segments so that technicians can complete the class on their own time. 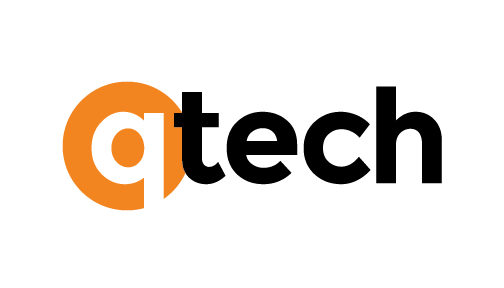 Qtech courses allow the user to learn at their own pace, on their own time - from any desktop computer. Upon successfully passing the exam, a certificate of completion is issued and a variety of continuing credits are available through BPI, NATE, RESNET, RSES, and HVAC Excellence (Check each course for specific CEU/CEH hours). We will continually be adding new topics and certifications, so check back often for updates. This series equips technicians with the knowledge to properly implement the measurement and documentation procedures required in the ANSI/ACCA 5 QI-2015 HVAC Quality Installation Specification (QI Standard). Watch the online videos, pass the exam, and earn your certificate (and CEUs)! This series covers the steps that are necessary for an experienced HVAC Technician to complete and document compliance with all of the requirements outlined in the ANSI/ACCA 12 QH-2014 Home Evaluation and Performance Improvement (QH Standard). Watch the online videos, pass the exam, and earn your certificate (and CEUs)! This video series explores the steps that are required for an experienced HVAC Technician to understand duct sizing, and basic design principles. Watch the online videos, pass the exam, and earn your certificate (and CEUs)! This series covers basic information necessary to properly understand, install and service the electrical circuits commonly associated with HVAC equipment. Watch the online videos, pass the exam, and earn your certificate (and CEUs)! This video series provides guidance and is intended to provide a working knowledge of heating and cooling duct systems, an understanding of the major issues concerning efficiency, comfort, health, safety; and practical tips on diagnostics, installation and repair of duct systems. Watch the online videos, pass the exam, and earn your certificate (and CEUs)! This video series explores the steps that are required for an experienced HVAC Technician to understand Hydronics. Learning about both heating and cooling, and the use of hot water and steam. Watch the online videos, pass the exam, and earn your certificate (and CEUs)! This video series covers commercial design basics, briefly covering the importance of doing the basic design requirements in Manual N, Manual CS, Manual Q, Manual T, and practical field diagnostics tips based on the Technician’s Guide and Workbooks series for properly designed and installed commercial systems. Watch the online videos, pass the exam, and earn your certificate (and CEUs)! By the end of this course, students will have been exposed to every topic and question that could appear on the new EPA 608 Test. By listening to each section of the online course and reviewing the accompanying online manual, you will have the resources you need to pass the test! This video series provides generic training that covers the basics a technician should know when tasked with installing, setting up, and testing various configurations of zone systems and their individual components. This course was developed for HVAC contractors and home performance professionals who requested more training material on zoning field practices. A pdf copy of the Technician’s Guide and Workbook for Zoning is included with the course. Watch the online videos, pass the open book exam, and earn your certificate (and CEUs)!